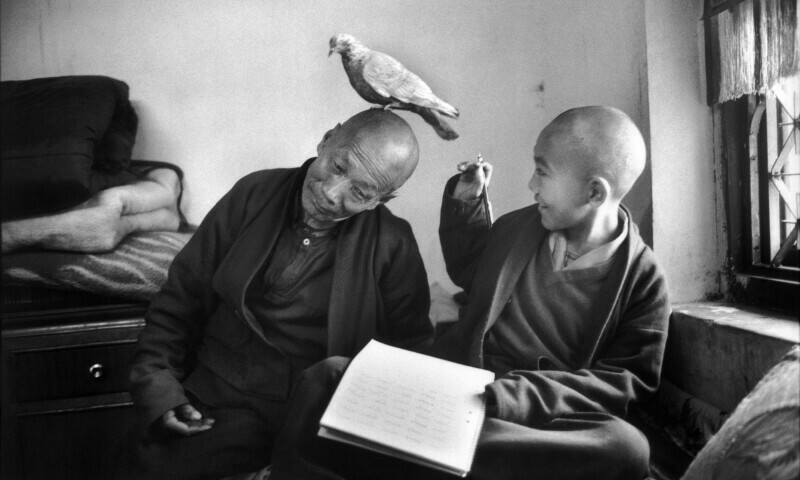 Martine Franck, Tulku Khentrul Lodro Rabsel, 12 ans, avec son tuteur Lhagyel, monastère Shechen, Bodnath, Népal, 1966. A journey through the life of a free spirit (Belgian 1938-2012), from activist gatherings to meditative landscapes, political engagement to friendly portraits, this deeply human vision open to the history of art was associated with the Viva agency, which she helped create, then with the cooperative Magnum Photos. “It’s a drop in the ocean, but I believe in it. To be a photographer, you need a good eye, a sense of composition, compassion and a sense of engagement.” Martine Franck.